Poker’s most sought-after market meets two-time WSOP champion and Twitch Poker record holder Doug Polk. The first week of the 2017 calendar year has been ripe with poker news stories ranging from Bill Perkins’ PCA Giveaways to the launch of PokerShares.com by high stakes pro Mike “Timex” McDonald, so you may not have read the latest events surrounding the @DougPolkPoker YouTube Channel. In just two short months since setting the record for largest Twitch Poker score ever with a $455,000 USD runner-up performance in the PokerStars WCOOP $10k High Roller, Doug’s YouTube channel has soared in viewership and introduced the game to at least 100,000 new “recreational” poker fans. Polk acknowledged the ratings spike early Tuesday morning in the TwoPlusTwo thread linked above, stating that one of his main strategies has been to attract “casual” fans to his channel in an effort to grow poker. The 28-year old Nevada resident’s efforts have been successful, yet have also resulted in confusion for some poker enthusiasts who are generally unfamiliar with current events in the poker community. “A lot of these people are so casual they don’t even know who I am or that you can even use strategy in poker,” explained the high stakes pro who has accrued roughly $5.1 million USD in live tournament cashes according to The Hendon Mob. On Friday, the former competitive chess and Warcraft III player released a 26-minute clip which highlights a decade-long career while also explaining a couple of key Poker Strategy concepts to new viewers. In the January 6th video, Doug takes recreational poker fans through his early online poker days which were riddled with struggles and challenges. After working his way up in stakes, then-rising star Doug “WCGRider” Polk competed heads-up against high stakes poker player Ben “Sauce123” Sulsky and came out on top to the tune of $700,000 USD. Later on in the segment, Polk outright scoffs at Circular Thinking and uses Rochambeau to illustrate just how easily poker players can out-level themselves while at the same time ignoring sound poker strategy. In a classic Rock-Paper-Scissors example, we are shown how quickly competitors can go full-circle only to wind up at their original starting position without much else to do except continue the hopeless cycle. Upswing Poker Strategy is headed by featured high stakes pros and 2016 WSOP Tag Team Champions Doug Polk and Ryan Fee. 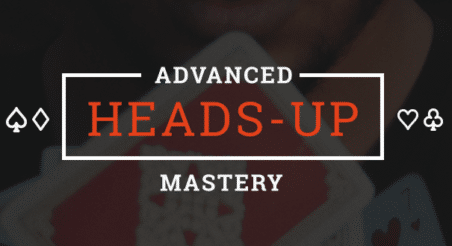 Beginning poker players can learn how to win at poker by signing-up for our Newsletter which contains poker strategy tips offered exclusively by Upswing Poker.